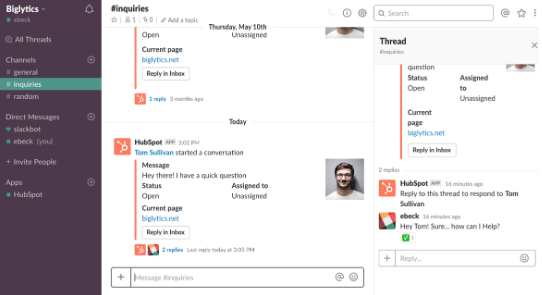 Both Gist and HubSpot have a live chat tool that’s available for free. There’s not a lot of difference between the free versions of the two products. One big advantage of HubSpot is the ability to directly link your HubSpot CRM with your live chat. Pretty handy. Both are quick to install and allow you to chat with visitors. The ability to automatically have that CRM data in the same platform is useful (and something we’re working to provide soon). You can connect many popular CRMs to Gist, but it will have to be done via integrations (either direct partnerships we have or with Zapier). HubSpot takes the live chat category. Not because this particular product is better, but the ability to directly connect to their CRM without an integration is something we don’t offer. One big advantage HubSpot users may have is that their ticketing system is included in their free service plan and their free growth plan. While you can get our help desk/ticketing system and our knowledge base tool in the $29/mo plan with Gist — it’s not on the free plan. HubSpot doesn’t offer the knowledge base at the free level, but this is the help desk category. 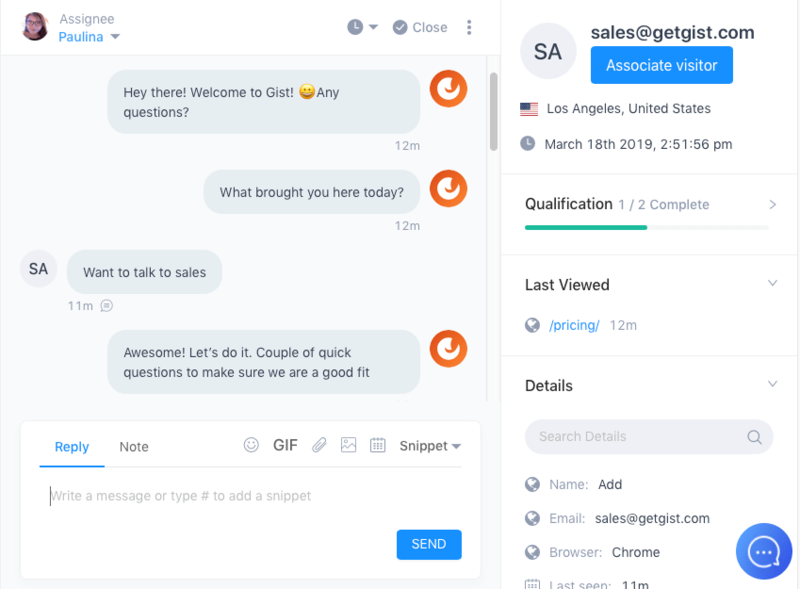 The two tools function similarly, but Gist’s solution is geared more toward the instant live chat support and HubSpot seems to lean toward email. At that point, it’s based on preference. Something else in HubSpot’s favor is the CRM. Updating customer profiles with support instances is valuable. With Gist, you can do this, but an integration will be required. It’s available on their free plan and it connects to the CRM. Gotta give credit where it’s do here and give the win to HubSpot. Separating sub-categories, creating drafts and publishing posts are, again, similar. The biggest (and pretty much only) difference is the price. 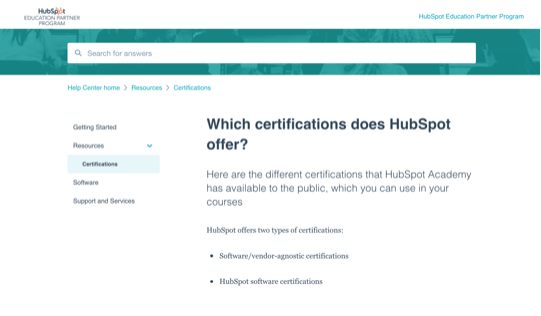 In order to unlock the knowledge base on HubSpot is either $400/mo for the “Professional” service hub plan or $1200/mo for the “Professional” growth suite plan. Gist’s knowledge base is available starting at $29/mo. To be honest, I’m not sure why they put this feature behind such a big pay wall, but it’s there and it weighs heavy on this category. With both tools being so similar, it comes down to the price. Gist is about 14X to 41X less expensive and wins this category. Chat bots are a nuanced product at Gist and HubSpot. The nuance comes in the multiple types of bots that we offer. I’ll boil it down to 4 types. 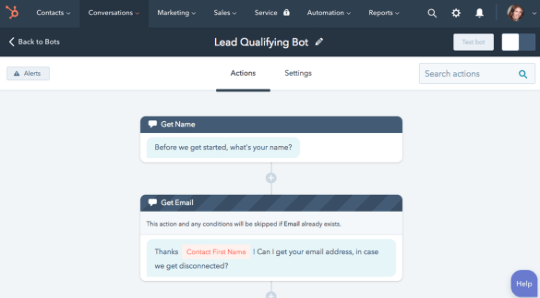 Qualification Bot: Asking visitors certain questions to see how well they fit your target personas. Meeting Bot: An automated, intuitive meeting scheduler that can book calls for you 24/7. 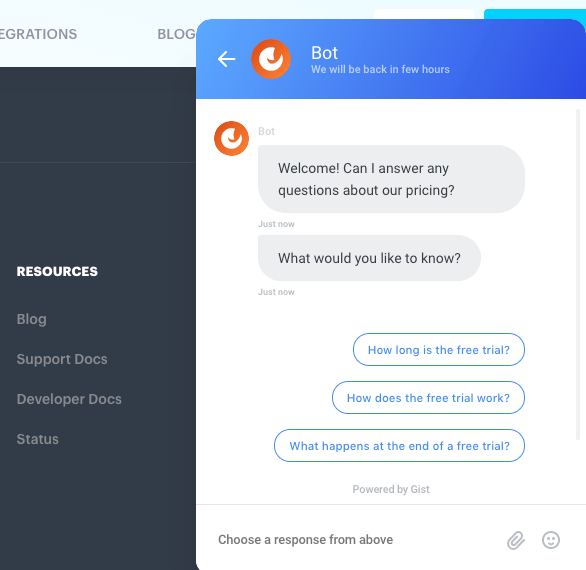 Support Bot: A kind of smart FAQ, pointing customers to articles that could help them solve common issues (typically via knowledge base articles). Custom Bot(s): Whatever you can think to create, you can use a bot builder and make it. Both Gist and HubSpot offer 3 of these. Right now, we don’t have a pre-made support bot, but you can create it with the custom creator. Unless support bots are where you draw the line, Gist’s affordability wins the category in the battle of the bots. More and more, HubSpot is trying to move into the sales space (as opposed to “inbound marketing” only). Gist is also creating products for the sales process. 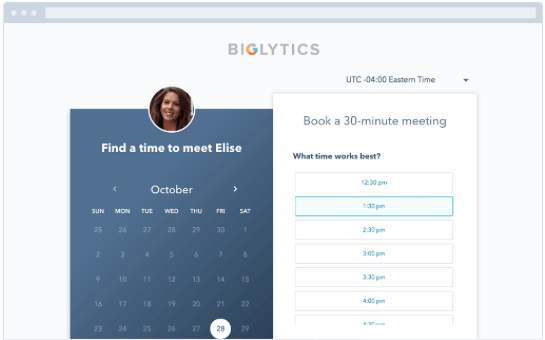 One such tool for us both is the meeting scheduler feature. 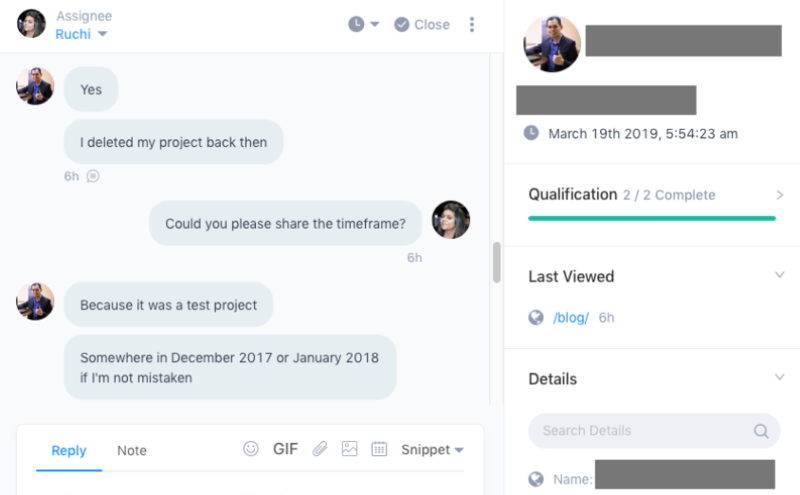 You connect the tool to your calendar, set the times you’re available, get a custom link(s) and send the link to your prospective call taker. The recipient of the link then chooses an available time that best suits there schedule. I would classify both of these scheduler tools as “lightweight”. Meaning, they’re for the sales team, not for a fully-functional scheduler (say, like Calendly which allows you to book multiple participants for the same time). There’s not much different here. And since it’s a virtual tie with very little nuance — no winner here. Ok, this one took a bit of thinking. 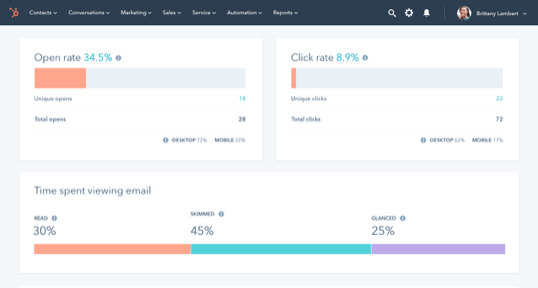 All cards on the table upfront: HubSpot has a nice email marketing platform, but it’s not worth the money. Here are the advantages of HubSpot’s email. These are things Gist doesn’t provide on any of our plans (we offer analytics, just not as robust as HubSpot). In order to get the completely unlocked email marketing features, you’ll have to pay around $800 per month. You can get limited email functionality on the $50/mo plan, but here’s an image with the fine print. 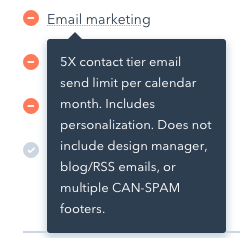 With HubSpot, you can only send emails equivalent to 5X your contacts, but you don’t get the design manager or fancy footers. Look, there are other email marketing tools that have more functionality for WAY less per month. Going to give this one to Gist. I understand that companies with large email lists may see the added value, since many email marketing companies charge by contact count. But the overall features compared with the affordability doesn’t make sense for most business models. Marketing Automation is another similar offer from both Gist and HubSpot. The shared featured aren’t a shocker since both companies are geared toward the “all-in-one” market. Perhaps the center piece of the all-in-one seeker is the automation. 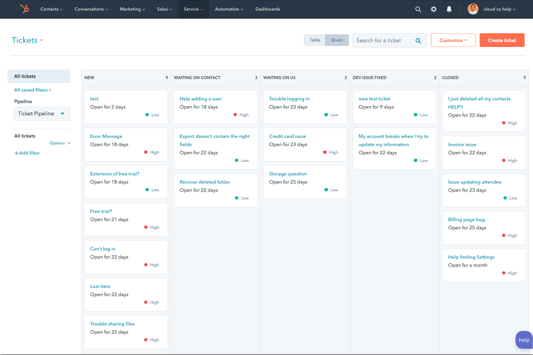 Features are great, but it’s the event tracking and automation that makes your entire process move together. It’s automation that really brings the growth. Because when setting automations correctly can take mundane actions off the plate of your team while maintaining personalization with your audience. So, how do Gist and HubSpot compare? Well, surprisingly similar. Triggers are used to set certain actions in motion. For instance, when a visitor submits a subscription form it triggers an email to deliver the lead magnet the visitor signed up to receive. Events are the key to automations. 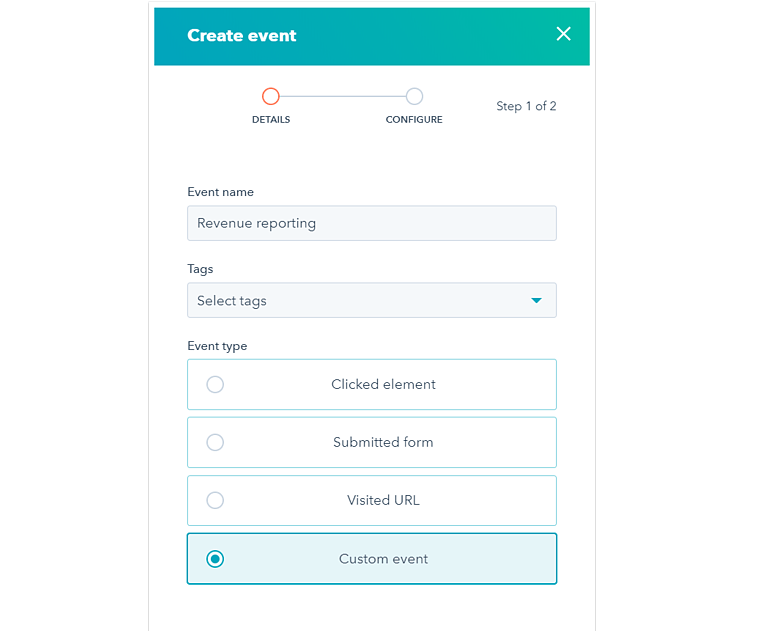 If you can create custom events and tags, you can really segment your audience and hone in on your marketing and sales process. I’ve talked a lot about HubSpot’s price and automation is no difference. To get marketing automation is going to be at least $800/mo. To get custom events, you’ll have to pay at least $3200/mo. 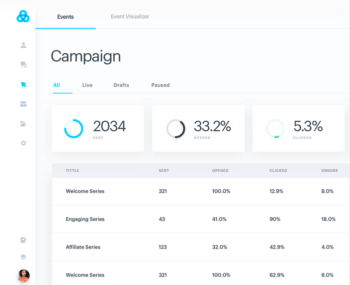 With Gist, you get a very similar marketing automation tool with custom events for $79/mo. Similar tools just night and day in terms of pricing. The win here goes to Gist. 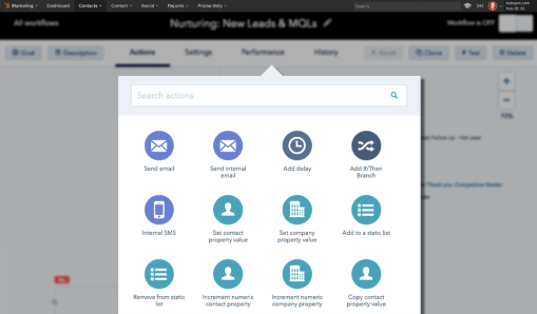 It seems like an obvious tool for an all-in-one solution to have a CRM and HubSpot does indeed have one. We’re working on it and hope to have it available this year. Until then, HubSpot is the clear winner. The CRM they offer is good and it’s also 100% free. HubSpot has a CRM and we don’t. Add to that the fact that it’s free and they are a very worthy winner of this category. Like I said in the marketing automation section, events are the key to automation. Without events, you won’t be able to trigger the actions that set your automated workflows into motion. Gist gives you the ability to create custom tags and events and then set up automations based on those triggers in our “Pro” plan for $79/mo. You can unlock custom events, but it will set you back five figures or more per year to unlock everything they have to offer. Gist wins the event tracking category of our comparison, due to a more flexible system and the affordable price. 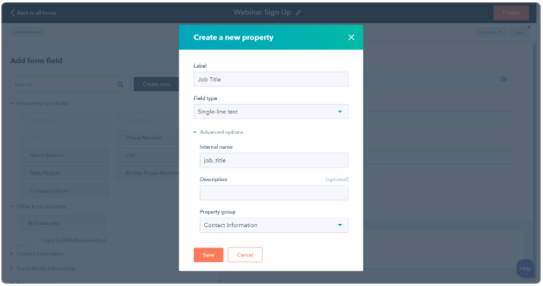 Gist has a lightweight form creation tool that allows you to create 6 different styles of form. You can also make limited customizations. Hubspot offers a limited forms product on their free and $50/mo plans. They’re preset options. I would lump in landing pages into this section, because HubSpot offers them and Gist doesn’t. However, landing pages don’t unlock until at least the $800/mo plan. But they are cool. To be honest, both form products are very similar and basic. They get the job done and are available on the free plans. There’s no clear winner here. 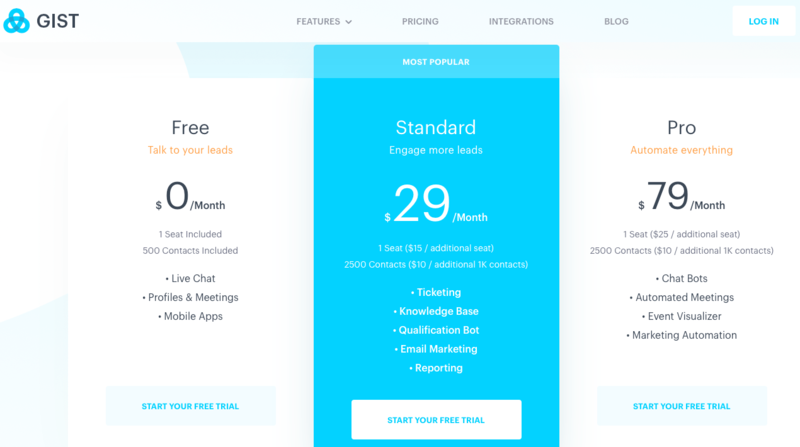 Both Gist and HubSpot offer a very similar product with little difference in pricing. Both HubSpot and Gist are very comparable platforms. 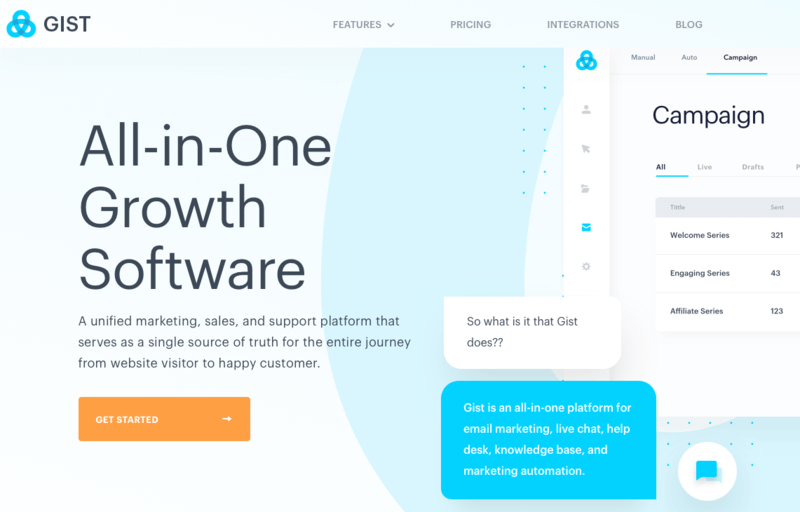 In terms of the number of features, HubSpot has us beat… However, in terms of flat-out price, Gist is more affordable. So, comparing pricing is based on two boiled down things — affordability and usefulness. I can tell you that this entire comparison is probably the most difficult one I’ve written. HubSpot is further along, hence they’re super useful. 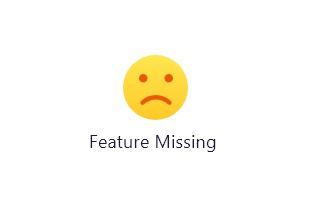 Gist is a startup with a large amount of these features already and our price can’t be beat. So, let’s go over the pricing specifically. HubSpot’s pricing is complex. Again, they have a ton of features. They’re pricing is split up into four paid categories and one permanently free option. 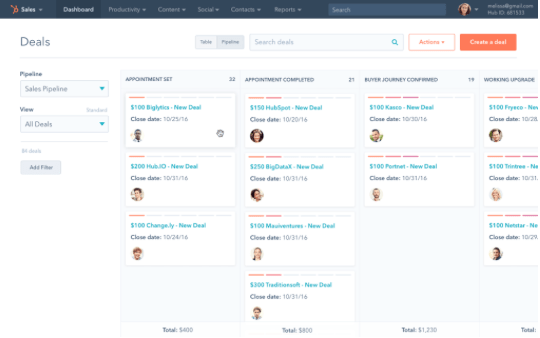 They’re CRM is free and has it’s own tab on the pricing page. Gist doesn’t have a CRM yet (working on it, though :)). There is a free plan for all of these. The paid plans range from $50 to $4200 per month. And the free plans aren’t bad. They come with some decent features. But in order to unlock the power, it’s going to cost quite a bit. Comparing the entry level paid plans to the free shows that there isn’t a ton of difference. For instance, the marketing product is $50/mo for the lowest paid plan. The biggest thing you get are email marketing, lists and they remove the branding. And believe it or not, that doesn’t unlock everything in the marketing category. That’s $3200/mo. They’re Growth Suite plan includes a bit of everything on the free version. The first paid version is $113/mo. It’s this price we really get a good look at the difference. This plan gets you a few things Gist offers except knowledge base, all bot functionality (some is included) and marketing automation. Gist’s most expensive plan is $79/mo and you get every feature we’ve mentioned in this comparison. Look, if you’re bootstrapping and don’t need email marketing, the free HubSpot plans will likely be enough. However, if you need a fully-functional marketing, sales and support platform for less than $100 a month — Gist wins. HubSpot is to online marketing as Disney is to the creative world. They own it. Sure, you can get a lot of it for free, but if you really want to experience the full benefit of their tools — You’re going to have to pay a large price for it. 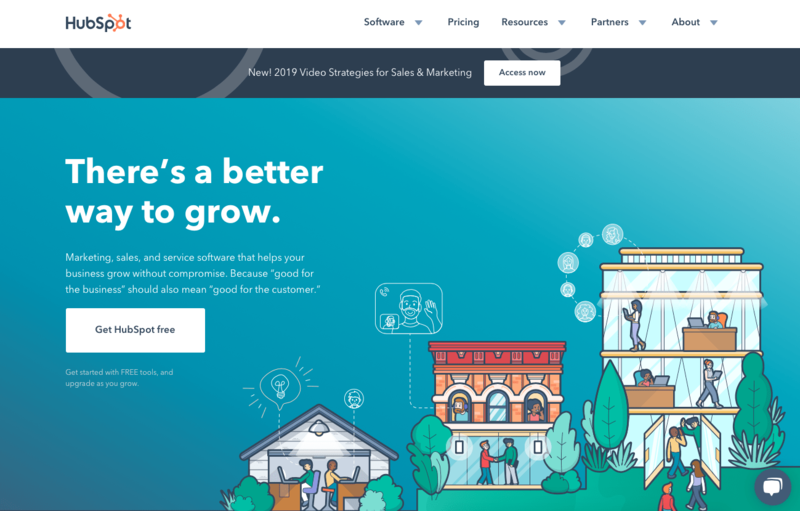 Some larger businesses, or smaller businesses with high-ticket products/services may find HubSpot’s price to be a fit for them. However, many small businesses want the power in an easier-to-use package that doesn’t send a significant chunk of the bottom line out the door every month. There are a ton of people who will read this review and totally disagree with my conclusions. And hey, I get it. HubSpot’s awesome and everyone strives to their level of quality and quantity. But at the end of the day, it comes down to usefulness compared with price. If you’re only going to use the free tools, HubSpot probably wins. Once you go to the paid plans and compare the tools available (not to mention implementing the tools), Gist takes the lead. Overall, Gist wins this comparison. HubSpot is super powerful and created to help businesses get more clients, but two factors put Gist on top. 2. Implementation: Getting HubSpot online takes some doing. There are agencies and specialists who are trained specifically to set their stuff up — for a fee. Gist’s onboarding process isn’t perfect (we’re working hard on it), but a business owner can have everything up and running in a couple hours.